What is PEMF Cellular Exercise? Pulse Electromagnetic Field (PEMF) Cellular Exercise is a therapy in which electromagnetic fields reach deep inside your body to exercise your cells. It causes your cells to expand and contract, similarly to when you work out at the gym. Just like your muscles, your cells need to be strong. Weak cells are characterized by low voltage. 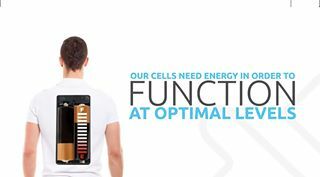 PEMF Cellular Exercise replenishes energy in low voltage cells. As your cells expand and contract, they are able to expel toxins and absorb nutrients. Your cells’ voltage increases and they grow stronger. High voltage cells are able to grow, heal, and reproduce successfully. Strong cells will create more strong cells! What are some benefits of PEMF Cellular Exercise? PEMF Cellular Exercise has also been found to support the body’s own healing ability by replenishing the natural charge that exists in healthy cells. When your body is healthy you sleep better, experience more energy, and are less likely to experience pain and inflammation. What is the history of PEMF Cellular Exercise? The basic technology has existed in various forms for decades, starting with Nikola Tesla’s alternating current in the 1800’s. About seventy years ago, Dr. Harold Saxton Burr, PhD proved that disease was preceded by a quantifiable imbalance in our electrical charge. Shortly after, PEMF Cellular Exercise began being used to aid in bone growth. It currently is used to support whole body wellness. What ages can benefit from PEMF? People of all ages can benefit from PEMF therapy. There are no age restrictions. Senior citizens particularly enjoy PEMF, but regardless of age, your cell love a charge! No, you will feel a gentle pulsing or tapping. Many times our clients doze off during their sessions. Who should NOT have PEMF? If you have a pacemaker, are pregnant, have a history of seizure, or have any electronic device implanted in your body (that cannot be removed for the session), PEMF is not an option for you. Please ask us about other appointment types that may be helpful. Will I have to undress for PEMF? No, all PEMF therapy can be done while you are fully clothed. You are welcome to remove your shoes, if you like. How long are the PEMF therapy sessions? Generally, we recommend 1 hour sessions to receive the full benefit. This will be determined through your intake assessment. Different problems require different amounts of treatment. We have affordable packages available. How far apart should I space my PEMF sessions? Since the effects are cumulative, it is recommend, when your first start PEMF, that you come at least twice a week, but you can come every day if that works for you. After your initial series of appointments, we offer packages and maintenance plans with weekly or monthly sessions – depending on your case. Do I need a doctor referral to schedule an appointment? No. While many of our clients come to us at the recommendation of their physician, a referral is not required. What is the Pulse XL Pro? The Pulse XL Pro is the only Cellular Exercise system in the world to combine solid-state engineering, integrated electronics, and user-controlled adjustable pulse and magnetic field strength. 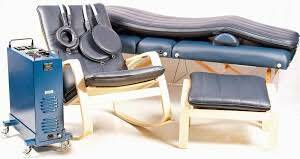 We combine the PEMF table, chair, pads, paddles, and rings to create a wellness program that is focused on your specific needs! Turbo NUtrients is a 100% carbon-bond liquid trace mineral supplement, an all-in-one multivitamin enhanced with humic and fulvic acids. Humic and fulvic acids assist in expelling toxins from your cells. We recommend combining Turbo NUtrients, Drainage Tone, and ReHydration, to your water before and after a PEMF Therapy session to support your cells through the detox process. How will I feel after my session? Most people report feeling great! If you feel tired or achy after your session, that may be an indication that many toxins were released from your cells during your session. Taking the PulseFuel/Drainage-Tone/ReHydration combination (in water) should reduce or eliminate this. Please let your technician know so that your next session can be gentler. What if I have had joint replacement surgery? That’s no problem. Even if you have metal screws, plates, rods, or joints, you can still participate in PEMF therapy. What can I do to get the most benefit from PEMF Therapy? Eating a clean, healthy diet that includes raw, fresh vegetables and fruits and being well hydrated are a great way to support any wellness program. We also recommend the PulseFuel/Drainage-Tone/ReHydration combination before and after your session. Across the board, we always recommend chiropractic care to support total body healing. When your cells and your brain can talk to each other and energy if flowing optimally throughout your nervous system, any therapy you try can be more effective. Yes, the FDA first approved PEMF for bone loss in 1979 and over the years, has continued to add more indications. Will insurance cover my sessions? We are not an approved provider for any insurance company. You could check with your insurance company to see if they will reimburse you for part or all of your sessions. You can also check with administrator of your Health Savings Account to see if those funds can be used for your PEMF sessions. How do I schedule PEMF Therapy? You can always call the office at 608-799-8326. Click HERE purchase a Test Drive Starter Pack. Once you have completed those sessions, we’ll suggest a package that meets your needs. Booking an appointment is easy with our online scheduler. Just a few clicks and you’re all set. Receive a free chapter from 7 Steps to a Naturally Unbridled Life and our monthly NUWsletter. Success! Check your inbox for an email from Naturally Unbridled Wellness.